UAN Password is very important, You can not uan login to the portal without this password. The uan number is also important.If there is no one in that, you can not log in to the uan login portal. Some people are saying, “error! Uan password not available.” This means you have failed to create a password.So what you need to do is change your password again. The password must contain a minimum of 7 characters and a maximum of 20 characters. In this password, you need to have the combination of a minimum of 4 alphabets, minimum 2 digits, and one special character are ! @ # $ % ^ & * ). In the 4 alphabets, at least one character should be capital and one small letter. EPFO provides the facility creating a new password for all the EPF account holders who have lost or forgotten their password. 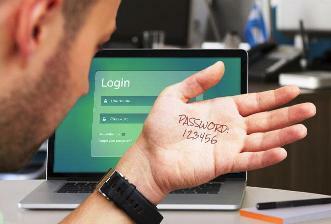 In this article, you can find the procedure to change or reset your password. Have you forgotten your UAN password? Don’t worry here is the best solution for you to recover or reset it back again. Visit the UAN official portal of EPFO Uan Login Portal. In the next screen, you need to enter your UAN number and captcha that is generated. Click on the button Verify, after entering the details. 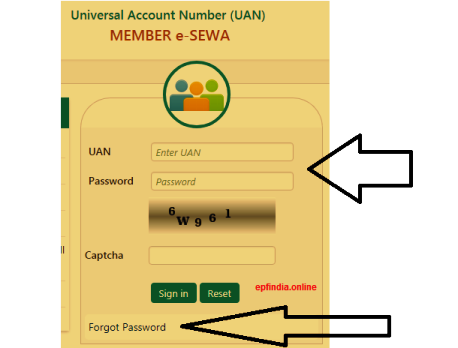 The mobile number which is linked to your UAN will be displayed. If you wish to change the mobile number, then click on the button No. Now, you have to enter your personal details like your name, date of birth, gender, KYC type, and also the document number. After entering your details successfully, click on the button Verify that is present near to the Document number. If the details entered are matched, then you can enter your new mobile number. You will receive an OTP for your new mobile number. Enter your custom password for two times. finally , you have received a message like your Password Changed Successfully. That’s it! You can log in to the UAN portal by entering your UAN number and password you have just created. If you do not want to change the mobile number that is linked with your UAN but wants to recover the password, you need to follow the steps mentioned below. Click on the link Forgot Password or reset password. And Enter your UAN number and captcha Code. Click on the button verify after entering. The mobile number that is linked to your UAN will be displayed. you do not want to change the mobile number, then click on the button. If One Time password is sent successfully, you will see the message displaying One time password. If the website is unable to send the OTP(One time massage) because of various reasons, you will get the message saying Failed to send OTP. Try the above-mentioned steps after some time. If the One Time password is received to your mobile number registered with the UAN successfully, you can enter the pin to set a new password. Remember to enter the PIN but not the OTP id. Now, you have to enter the new password two times. The password must contain a minimum of 7 characters and a maximum of 20 characters. In this password, you need to have the combination of a minimum of 4 alphabets, minimum 2 digits, and one special character. In the 4 alphabets, at least one character should be capital and one small letter. Re-enter the same password and click on the button Submit. Now the page will display you a message saying that your Password Changed Successfully. You can now log in to your UAN login portal by entering the UAN number and the new password. How to change UAN password after logging? If you want to change your old password to a new one, then you can follow the steps mentioned below. From the home page, click on the link Forgot Password. Enter your UAN number and the captcha code. Click on the button Submit. Now the page will display a message saying that Your password has been reset and your login credentials that have been sent to your registered mobile number. You will receive the SMS to your registered mobile number with the username and password. After receiving the login details, you can visit the website and enter your new password on the UAN member portal. Now you can set your new password. This is not the Official website of http://epfindia.gov.in and we are not responsible for any mistakes in the content published in this blog / website. This blog gives information purpose only.